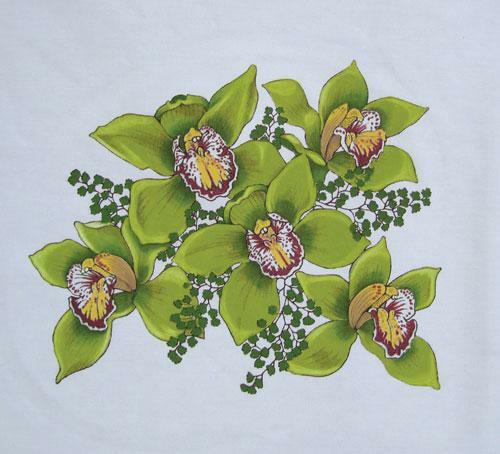 Beautiful orchids and delicate green fernery adorn these delightful cushion covers. Pre-shaded on quality white polycotton. Measuring 75cm square. Using colours: 1, 2, 12, 73, 76, 82. Slide a Blotter Sheet (1632) inside cushion cover whilst painting. Cushion Inserts are also available (1692) for $6.95ea. Also available as a single Cushion Cover (3653).